Are you ready for your upcoming adventure to Tanzania? Have you learned a few words and phrases in Swahili, the most widely spoken language in Tanzania and all of East Africa. Swahili has adopted many words from Arabic and English, as well as from Portuguese and German, all of whom have had interaction with the original Swahili speakers along the East African coast. The government of Tanzania officially decided to teach Swahili at school. Ministry of education hope that it will encourage the young people to participate of their country development instead of going abroad for their career. Swahili has always been the language of instruction in primary schools, and English the language used in secondary schools. But students ability in English was so poor that it is ineffective as the medium of instruction for secondary, so the government new policy (implemented in 2015) is for Swahili to be the language used in secondary schools as well. Now that you know a little bit more about the Swahili language, we have created some funny lists for you to learn basic vocabulary and to help you feel in your element during your Tanzania holiday! Habari gani ? = How are you? Nzuri ! = good, thanks! W ords you actually already know (because of the Lion King movie maybe?) or because they look like english words! 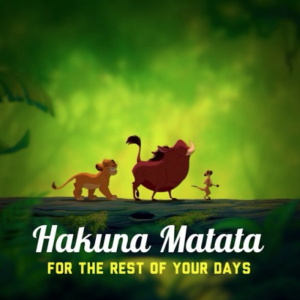 Hakuna matata ! = no worries! Words that you might figure out (from English). Say them out loud and you will recognize their meaning. 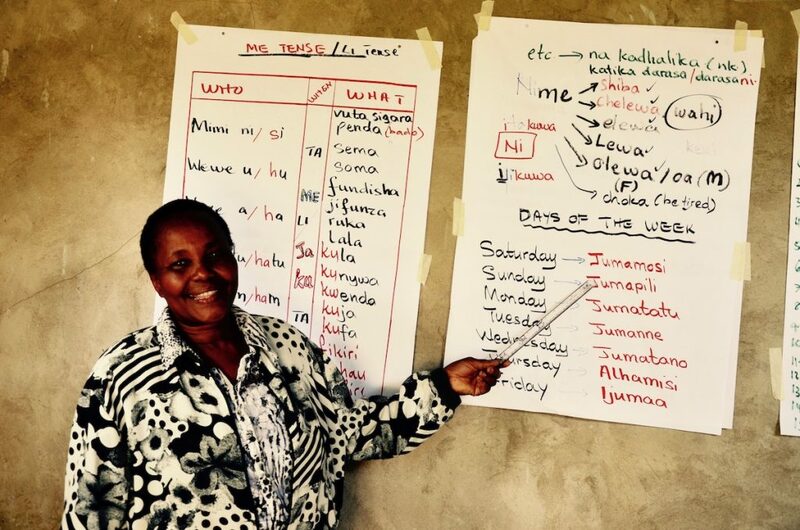 After your trip to Tanzania, you might want to learn more Swahili. For Tanzanians and for people who can easily absorb languages, Swahili is an easy language to learn. But for those who have difficulty in learning by memory new words and for whom it’s hard to understand the logic of a very different language, learning Swahili can be far form easy. I know from my own experience! I suggest you have a look at the many language teaching websites; they should help you out in your learning process. Be patient and don’t give up when it gets difficult (especially understanding what people are saying) – you certainly need tenacity to be able to speak and understand Swahili!